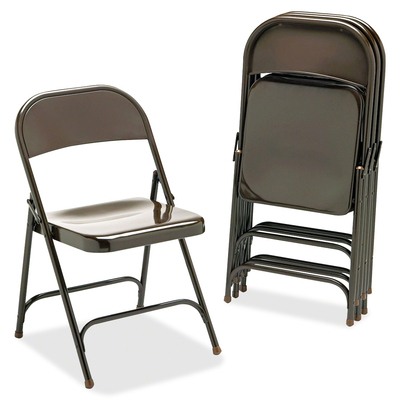 Metal Folding Chair Features Contoured Seat Pan For Added Comfort. Construction Includes Riveted U-Bracing For Lateral Support. Embossed Hinges Provide Additional Strength..
Metal Folding Chair Features Contoured Seat Pan For Added Comfort. Construction Includes Riveted U-Bracing For Lateral Support. Embossed Hinges Provide Additional Strength.